What can MLB do to curb fan behavior? 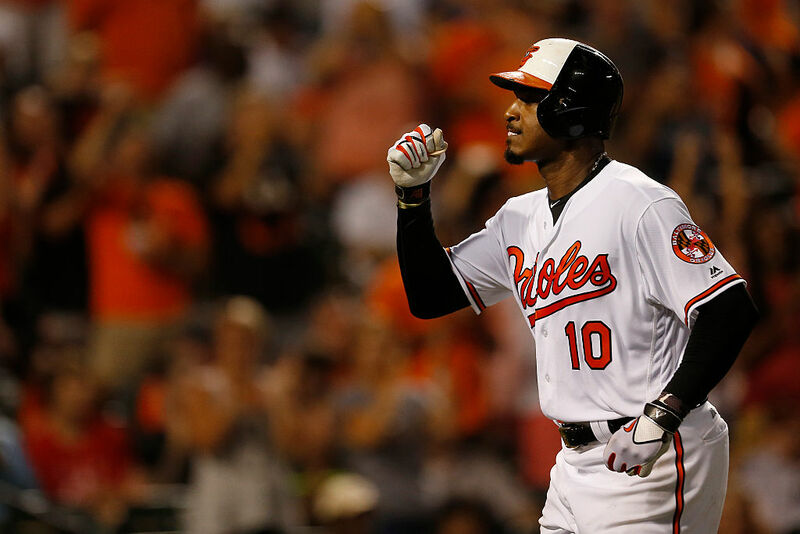 In a banner night for Fenway Park and Boston-area fans as a whole, Baltimore Orioles center fielder Adam Jones had to deal with peanuts and racial epithets being thrown his way Monday evening. “It’s pathetic,’’ he said. “It’s called a coward. What they need to do is that instead of kicking them out of the stadium, they need to fine them 10 grand, 20 grand, 30 grand. Something that really hurts somebody. Make them pay in full. And if they don’t, take it out of their check. That’s how you hurt somebody. You suspend them from the stadium, what does that mean? It’s a slap on the wrist. That guy needs to be confronted, and he needs to pay for what he’s done. While he’s correct that there should be a bit more of a deterrent, it’s difficult to imagine what that would be. One would like to hope that “not wanting to be a racist” would serve as deterrent enough, but hey, that’s apparently not going to cut it these days. Rather than punishing the fans, as there’s no real way to fine someone for their speech at a ballpark, MLB could punish the team for this behavior. Fining the Red Sox (or any team) for repeated racist behavior at their stadiums would go a long way towards ensuring it gets more properly policed. And if fines don’t work? Well, they could always force teams to play games in an empty stadium. passed street called Blackfan on way to fenway. and havent seen one since. The Red Sox want to publicly apologize to Adam Jones and the entire Orioles organization for what occurred at Fenway Park Monday night. No player should have an object thrown at him on the playing field, nor should be subjected to any kind of racism at Fenway Park. The Red Sox have zero tolerance for such inexcusable behavior, and our entire organization and our fans are sickened by the conduct of an ignorant few. Such conduct should be reported immediately to Red Sox security, and any spectator behaving in this manner forfeits his/her right to remain in the ballpark, and may be subject to further action. Our review of last night’s events is ongoing. The Orioles and Red Sox have had a few heated moments already this season, and it’s a shame that fans have piled on with this nonsense.